This is for fun and just to see which is better. Show evidence and I know that good is based on opinon so one of these truly cant be better. I would like to thank PRO for setting up this debate. I really don’t do debates on subjects like this, so I hope to have a little fun with it. I will begin with three main arguments. Basketball can be played with a minimal amount of equipment. All that is needed is a ball and a hoop . In fact, a hoop can be an old laundry basket or even a box tied to a wall. In contrast, in football, aside from the large space and the ball, you will need expensive bulky equipment such as helmets and shoulder pads . The additional equipment needed can increase the cost prohibitively, making basketball the obviously superior choice. Simply speaking, football is more dangerous. Compared to many other sports, especially football, basketball is a low contact sport. The contact that does occur is minimal and incidental . Injuries are not life threatening. In contrast, football is a full contact sport. The object of everyone on the defense is to grab the guy with the ball and wrestle him to the ground. There is a whole section of the offense designated just to be bodyguards for the quarterback. Bleacher Report posted an article ranking US professional sports according to dangerousness. Basketball was #10, Football was #3, behind only Hockey and Boxing . I feel I have adequately presented the obvious case that basketball is a far superior sport than the odd-shaped-ball-gridiron-sport so many of my countrymen are obsessed with. Second- I will actually build this around his statement that there are injuries. I think that is what makes the sport a physical high impact sport. These players are taking this with that knowledge. Sign contracts around it and prepare for it. They are taking steps to limit concussions and other forms of injuries as well, by making helmets and gear more secure. They have even put in rules, that prohibit unnecessary hitting of the quarter back. It is a penalty now as we know. Late hits work the same way. The point to showing that they all agree to these terms is that physical impact sports are more fun o watch than a sport with hardly no contact. Look how popular hockey is in Canada. Why football takes on this roll for us, it works the same way. We enjoy watching people tackle and hit each other. It is entirely more entertaining to watch. This is a personal belief, but backed by a majority of the nation. Third - It also offers more money to players overall. Due to the sport being popular and so many people watching it, the base player salary is way more high than a base player in basketball. Even the practice squad makes triple digits. It is a good sport to strive for, and a majority of people do for that reason. I would also like to address cons point about the shape of the ball. It is made for aero dynamics. 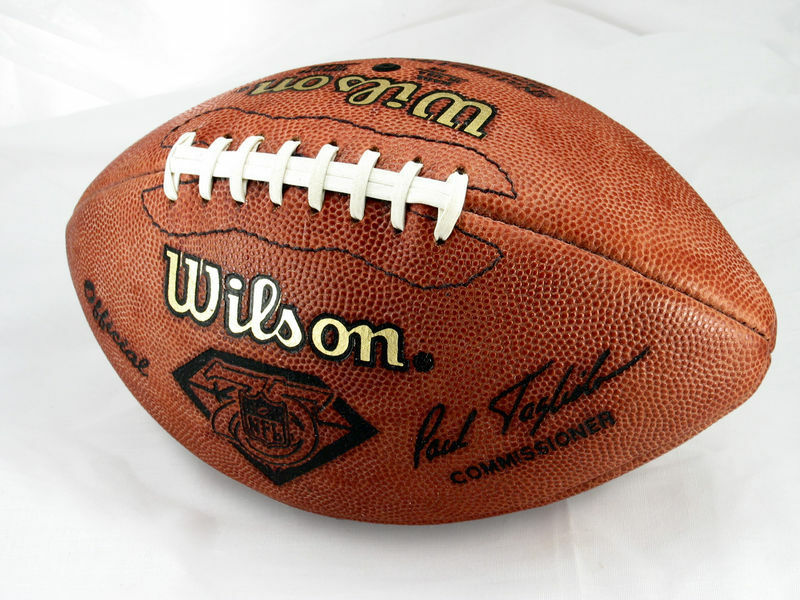 If you were to take a football and make it round and tried to throw it on a football field, it would not go as far. Due to the design of it. Why this is acceptable in basketball, the size of the court is built with that in mind. In closing I have shown why football is better than basketball, and why a majority of our country thinks that as well. I would first like to apologize for missing my argument deadline. Secondly, since this is the final round, I will not be presenting new arguments, but rather I will address PRO’s arguments and restate my own position. PRO claims that football is a superior sport because it is more popular. First of all, PRO’s unsupported claim is not necessarily correct. For instance, I do not debate that the Superbowl draws more viewership than the NBA Finals, but since the commercials are more popular than the game , strict popularity cannot be used as a measurement tool. Also, PRO’s whole argument from popularity is a logical fallacy. The fact that something is popular doesn’t make it right or better . Part of PRO’s argument is about injuries is an attempted rebuttal against my point. I will address the rebuttal later; here I will address PRO’s argument that football is superior because it involves violence, and people enjoy watching violence. First of all, this pure opinion; PRO has offered no support to back up his opinion. Secondly, even if it is correct, PRO is again relying on an Argumentum Ad Populum (its right because its popular) fallacy . PRO’s final argument is that the players make a lot of money. This isn’t even an argument regarding the sport itself; it’s essentially another argument from popularity , since popularity and viewership fuel salaries. Therefore, this argument fails just like PRO’s first two. I will address my third argument first; the argument regarding football’s unusual ball shape. As PRO noted in his opening round, this was to be a “fun argument.” As many of the arguments for fun here on Debate.org are downright silly, I was unsure how to take this debate. Therefore, I included two serious arguments, and one a little more on the lighter side. I withdraw this argument. My first argument was regarding the accessibility of the two sports due to the amount of equipment required to play. I showed that basketball is superior due to requiring less equipment. PRO chose not to rebut, or even to address this point, so it stands. I argued that basketball is superior to football because it has lower contact and causes fewer and less severe injuries. PRO’s rebuttal was that the players are compensated for their risk and that the violence is popular. PRO’s first point only applies to professional athletes, not to everyone who plays the sport. In fact, as less than .5% of college football players are drafted to play football professionally , his argument is largely irrelevant. PRO’s other rebuttal is that violence is popular, which, as I have noted above, is relying on a logical fallacy to claim superiority of the sport . My argument stands. PRO's three arguments basically boil down to a claim that football is superior because it is more popular. I have shown how this reasoning relies on a logical fallacy; therefore, PRO’s arguments can be disregarded. In contrast, I have argued that basketball is superior because of its greater accessibility, and lower level of injuries. PRO never addressed my first point and I have shown how he failed at rebutting my second point. Overall, PRO has failed to show why football is better, while I have shown how basketball is superior. My apologies for not making Round 2 arguments. Due to my own error, I didn't realize that I only had 1 day to make arguments. I realize this has most likely cost me the debate, and I apologize for ruining a debate you set up, "for fun."